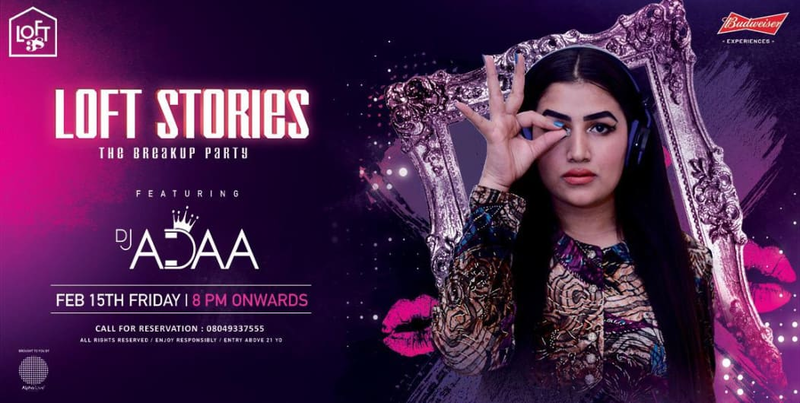 Loft Stories (Bollywood) ft. DJ adaa at Loft 38 this Friday! Have you experience the fantastic friday nights at LOFT 38? You should this time, The only Bollywood Night of the month and we do it in style. Bringing you the ultimate Diva at the ultimate nightlife destination of the city for an exclusive night full of Indie night, Hip Hop and fusion. Taking up your music experience to a whole new level with hottest artist from Mumbai, DJ Adaa! The entry closes at 9:30 PM. Cover charges will be applicable post that as per venue’s discretion. Pre-buy tickets will allow couple and stags to enter throughout the night avoiding cover charges.